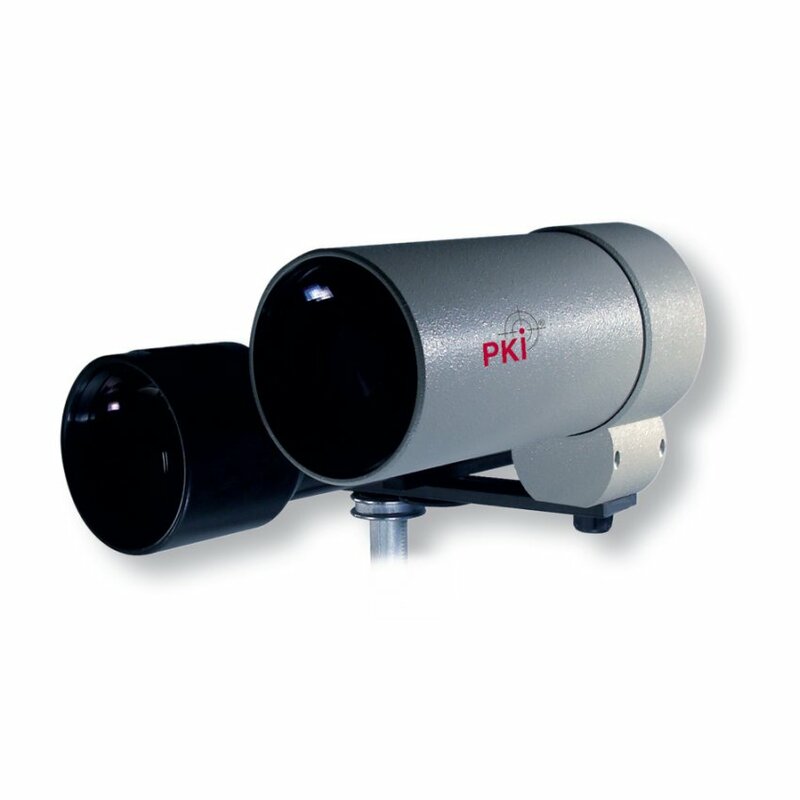 The PKI 5445 night vision camera is designed for application in wide terrain. Not only that the extremely sensitive EMCCD sensor already provides clear noiseless indoor images even in the faintest light, the camera is additionally equipped with a very powerful laser illuminator. It increases the operating range at total darkness to several kilometers. The laser beam is fanned out parallel to the camera lens so that the illuminated area is adjusted to the zoom area. This way, an optimum illumination is always achieved irrespective of the distance. Together with the laser, the camera is mounted on a pan/tilt head and can be adjusted via the remote control. The lens with a 60x zoom is equipped with additional filters providing optimum image quality even under aggravated viewing conditions.